Planning the workforce for the Singapore University of Technology and Design from scratch to hiring top-class faculty members from across the globe; Dr. Jaclyn Lee shares her insights as the university’s CHRO, handling Strategic HR and Capability Development, in an exclusive interaction with People Matters. Having been appointed as the CHRO of Singapore University of Technology and Design (SUTD), Lee is in charge of Strategic Human Resources and Capability Development. 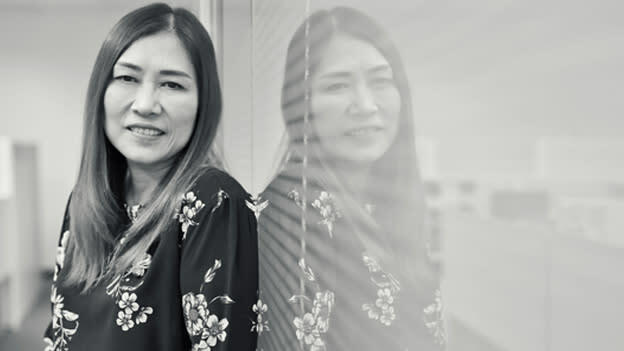 Equipped with more than 25 years of experience in HR and capability development, she has played a crucial role not only in building the foundation of workforce management at SUTD but have also brought forth this knowledge to fruition in the various global corporate organizations that she has worked with. Establishing the framework of an educational institute from scratch, which includes setting up the compensation structures to ensuring employee engagement in the university, was Lee’s work. An educator herself, Dr. Lee shared some of her insights and experiences with People matters in a recent interaction. Taking a multidisciplinary approach towards each function is in SUTD’s DNA. How have you structured the SUTD’s HR team in a multidisciplinary manner? We do not have academic schools or departments. Instead, we are organized by Pillars of Specialisation. This is reflective of the real world where most problems cannot be solved without assembling a team of expertise with diverse skills to be able to develop products, systems and services to meet the demands of individuals, industry and governments. This is what we call An “outside-in” approach. Similarly, HR divisions of today need to adapt to the changing times. As we partner with the business and help our organizations assemble talents to meet the needs of businesses, we too need a multi-disciplinary approach in the way we structure our teams. How do you think a multi-disciplinary approach towards HR will provide organizations with a competitive advantage? Many HR practitioners are trained in social sciences and their skill sets are functional. They have the needed depth but not necessarily the breadth. By adding diversity to the skill sets of the traditional HR division, this provides the needed breadth to propel the value-add of the HR Function. At SUTD, we have managed to assemble a diverse team comprising of data analysts, IT professionals, digital marketing specialists, as well as team members trained in statistical abilities. This diversity has helped the SUTD HR team to be able to delve into data analytics and anchor the university with a strong employer brand through digital marketing efforts. In addition, our IT team has been able to help develop complex capability systems and data dashboards for reporting. Therein lies the value of the multi-disciplinary approach to structuring HR divisions of today. How can employers ensure that they attract and retain multidisciplinary talent? The idea is that while you have functional structures, you must have teams that are able to bring and assemble products and services in a way that gives you a multidisciplinary perspective. Once you’ve hired the best multidisciplinary team, the key is to retain that talent. A major component of retaining and attracting people to an organization is to show them the future growth possibilities--not just in terms of how it would benefit the organization but how it would positively impact their personal career goals as well. I think you have to share your vision for the department and the organization and how you see the employee’s capabilities fitting into the existing framework and growing in the evolving workspace. That’s how we hire and retain the best faculty members. They are able to envision the prospect of expanding their capabilities by working not just in their area of expertise. How have you ensured that the workforce management system at SUTD remains agile? I strongly believe that it is up to the HR practitioners to create an environment of learning not just within their own department but across the organization. The disconnect takes place when the employees are not able to catch up with the demands of the industry in order to find solutions to the challenges that a particular business might be facing. Training our employees to be agile and constantly upskilling themselves with the needs of the world is crucial. I personally have spent a lot of time and resources in taking courses on data analytics, data science, agile techniques, and design thinking to keep abreast with the latest trends and practices. This has helped me to become current. Similarly, I encourage every person on my team to keep learning and to take advantage of the rich and diverse learning opportunities within a higher education environment. A message for HR teams in their journey of reinvention? I would say that HR teams can definitely enhance their performance and expand their roles in the organization if they think about digital technologies as an evolving skill set. Information technology systems and data analytics are now instrumental in making your HR teams more efficient and functional. Moreover, fields such as statistics and mathematics that were considered unrelated to HR have now become all the more relevant. It is the HR’s responsibility to propel a cultural transformation within their respective organizations.